I’m pretty confident that someone snuck into our mobile devices and calendars (old fashion and new-age) and messed with the dates. How could May possibly have snuck on us this easily? To be clear: I am in no way complaining. Give me sunny days, spring flowers, warm breezes and a hint of sun kissed skin before June arrives. This week, the Onboardly crew are off to Prince Edward Island for a weekend retreat. For those of you unfamiliar with PEI — it’s home to Anne of Green Gables and was visited by Will and Kate on their Canadian tour. It also has an epic ice cream chain called Cows. That is really all you need to know. But keep your eyes peeled on my Instagram for red dirt, cows, and ocean views. I promise, it’s super pretty over there when the weather cooperates. 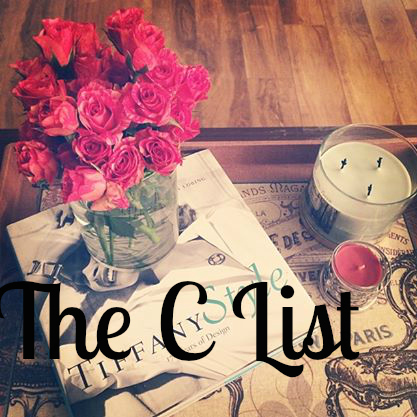 And in the meantime — here is this week’s The C List. 2. The Asian Godzilla trailer (via Entertainment Weekly) Seriously. Movie of the summer. 3. Shrimp Pasta with Tomatoes, Lemon, and Spinach (via Bev Cooks) Made this last weekend when I had my parents over for dinner. It was divine. 4. Hamsters Eating Tiny Burritos (via Refinery29) Daily Dose of Cute. You’re welcome.